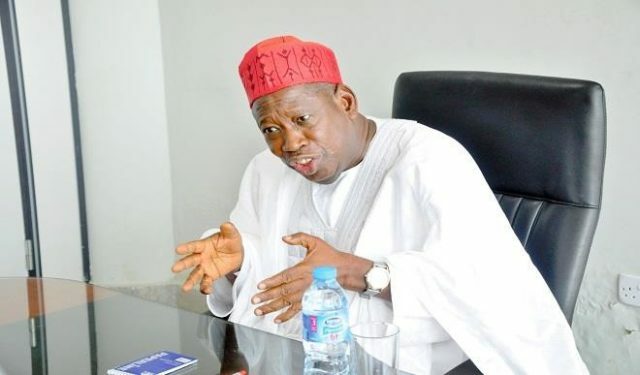 Governor Abdullahi Ganduje of Kano State has addressed reports that Kano State figures were inflated for President Muhammadu Buhari in last Saturday’s election. DAILY POST had reported that a spokesperson for the Atiku Abubakar Presidential Campaign Organisation, Osita Chidoka, on Tuesday queried the Independent National Electoral Commission, INEC, over presidential results from northern part of Nigeria. But speaking with State House correspondents on Wednesday at the Presidential Villa, Ganduje said that those peddling such rumours were not serious people. He said such people were anti-democratic as INEC creditably acquitted itself in the conduct of the election in spite of the low turnout of voters. The governor said that Kano State aspired to give Buhari more votes than was recorded, but added that he was grateful to God that the election was free and fair. “So, those who are saying that we could not have got that much I think they are ignorant of the politics of Kano. “If it is because of the low turnout, let’s wait for the governorship election. My chances are very high. “You can see, the beginning of it is the presidential election. We got Mr President, we gave the highest number of votes. “All the three Senators are back, they won the elections; 24 House of Representatives members out of 24; they have succeeded. What else are you expecting? “That is the foundation and another thing is that Mr President has done a lot of work for Nigeria, he has done a lot of work in Kano and we as government have done a lot of work, a lot for the people of Kano State. “If there is any negative reaction, we could have seen it from this first election. So that is why I am saying we are heading for a huge success in Kano State come the governorship election and that of the state House of Assembly,” he added.